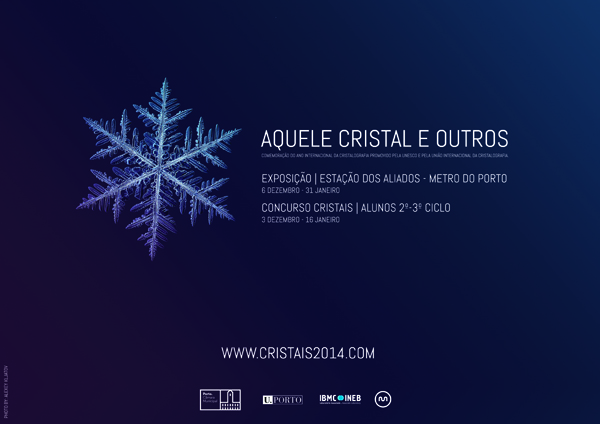 Crystal Trees and Shrubs Porto The IBMC, the Porto City Hall and the University of Porto joined the celebrations of the International Year of Crystallography 2014 promoting a basic school’s contest for local students. You can participate in the school competition between December 3rd and January 16th with making a crystal tree or shrub during your Christmas holidays. Commemorative lectures Caparica Commemorative lectures to celebrate the International Year of Crystallography in the Faculty of Sciences and Technology of the Universidade NOVA de Lisboa. 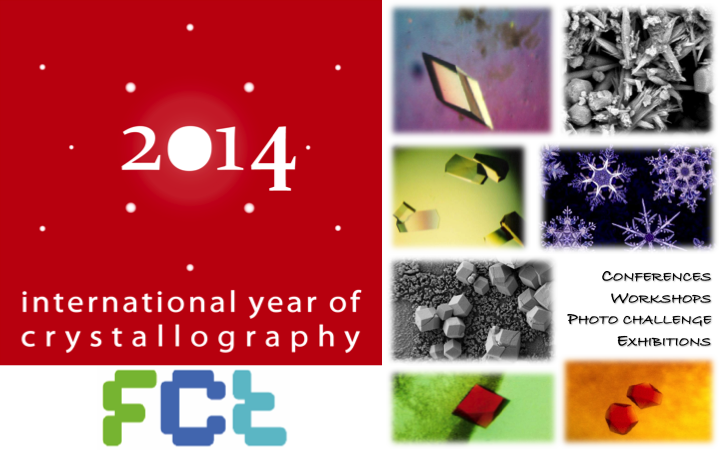 Photo contest “Crystals & Symmetry in Art, Science and Life” in Caparica Caparica A Comissão Organizadora do Ano Internacional da Cristalografia na FCT-NOVA pretende com este desafio fotográfico cativar o interesse de muitos fotógrafos, profissionais ou amadores, para a Cristalografia e, mais especificamente, para dois conceitos básicos: os cristais e a simetria. 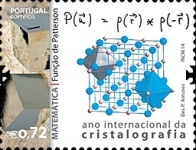 Portuguese commemorative stamp issue Lisboa A special commemorative issue for the International Year of Crystallography, including 5 stamps and a souvenir sheet, was issued on 21 July 2014.